BetaPress AMP Theme is one of our fastest samples till today. The best features of BetaPress This theme is less than the second load time. This is the perfect SEO optimized theme with Prefect Structured Data. Zero Js is used to make this AMP template. This theme has made an elegant alphabet design incompatible with important features. Share WhatsApp by opening a blog with a mobile device. After receiving more requests on Gourab design's FB page, we finally decided to publish this AMP template for you. You will like the design and color combinations available from . Would you like to see an Amp Fast Loaded on your blog? Now this topic and let your blog look one-way . 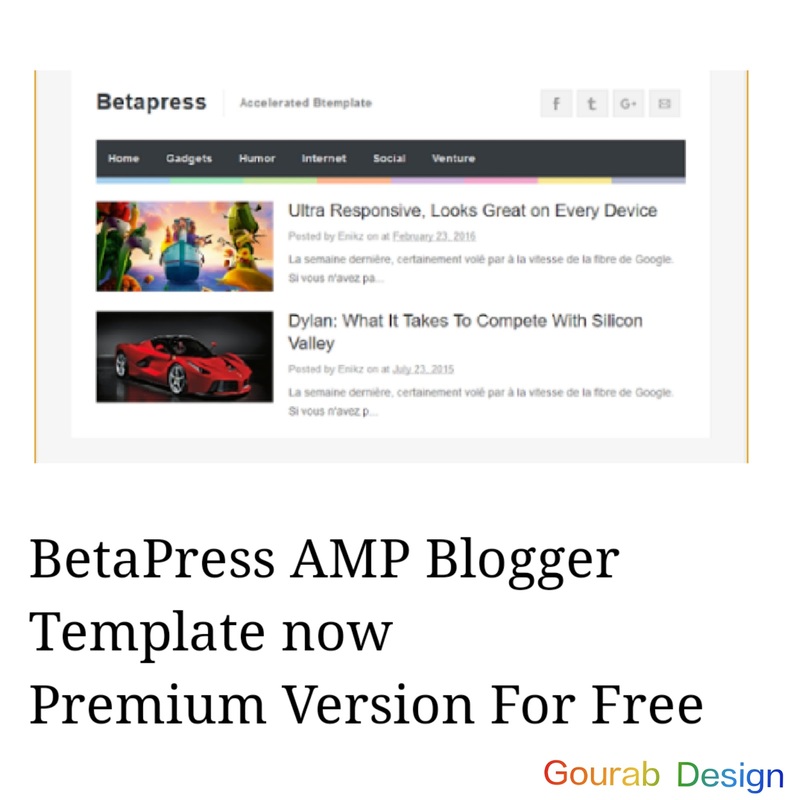 Betapress is the fastest created with the new Google technology AMP (Accelerated Mobile Page). Is it a quick theme for blogspots. The homepage has 72 points on post pages. The template also has no sidebar column. Mobile version is disabled for images and videos. The home page design of the website can be a condition source showing the structure for a comprehensive design with the performance characteristics of any website. The items can be provided by different suppliers to make web design very easy for these designers. "Webpage template" can be just a template that can be used for web pages Well-designed can be super stylish, as well as super elegant with 100% responsive, full quality, premium items May be. Bhai main maya theme use karta hu. Jo ki yeh premium hai.